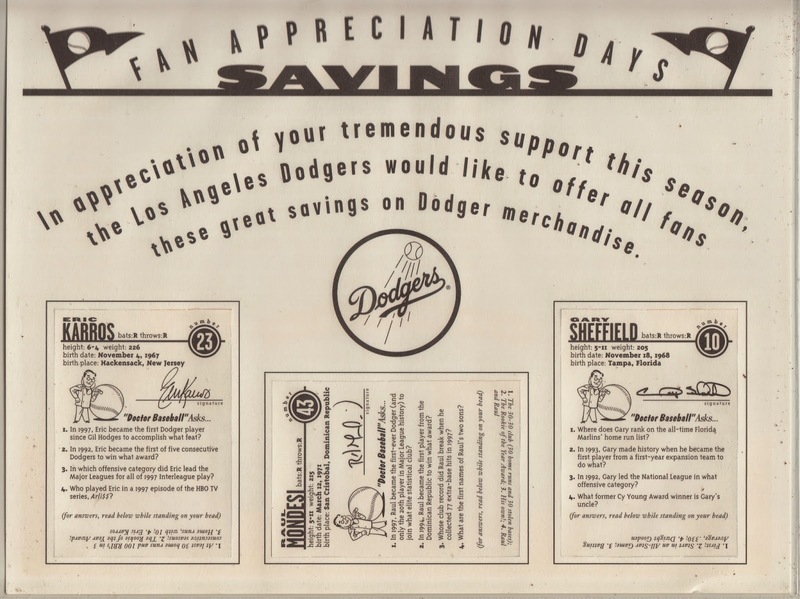 Following up on yesterdays post featuring the 1997 card sheet, I now bring to you the Dodgers 1998 Fan Appreciation Baseball card sheet given away on Fan Appreciation Day. 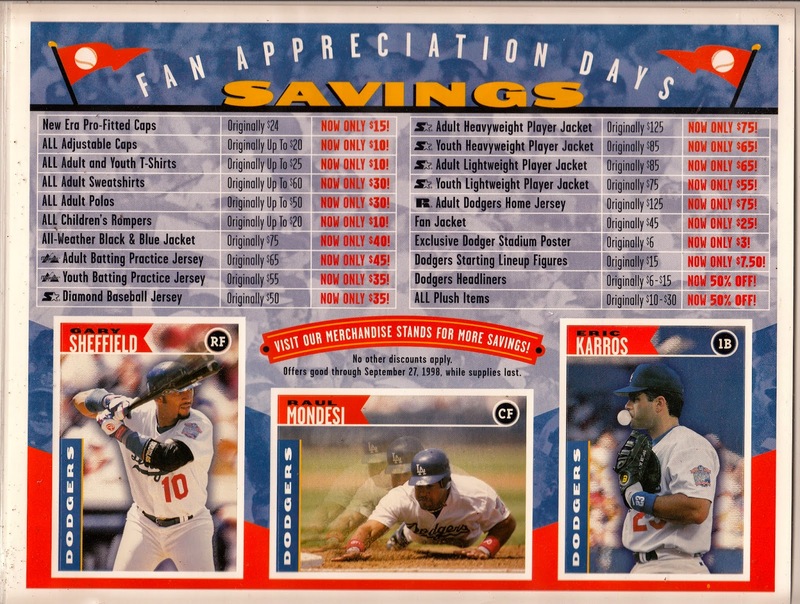 The featured perforated cards are of Gary Sheffield, Raul Mondesi and Eric Karros. Go here to check out all of my past post on this give-away.